Our Philosophy | Rebuild Dominica, Inc. 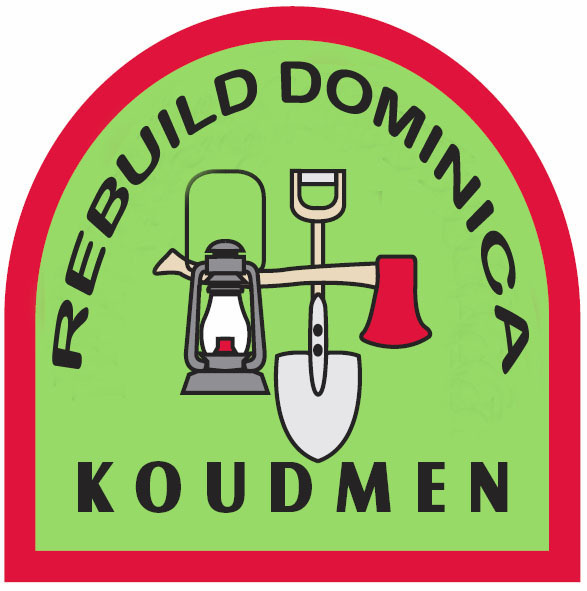 The Rebuild Dominica organization is inspired by the spirit of volunteerism, team work and cooperative self help. Our people have a long heritage of working together for the common good. In Dominica’s French creole language, those values of community self-help have a name; it is called: Koudmen. No society can long endure where its people are not able to unite for the common good. We join hands here in the United States, and all over the world where Rebuild Dominica supporters are gathering to aid Dominicans on the island of our birth. Following on the heels of the tropical storm Erika disaster of August 27, 2015 we must adopt those values which have made for the success of great civilizations. No great community has risen by aid alone. Our people must commit to putting in the requisite resources or sweat equity. Many who have joined with us need not have done so. Some of the most committed members of Rebuild Dominica were not born on Dominica. However they share the same noble humanitarian impulse and the ethic of volunteerism we call Koudmen. We are all volunteers in this noble cause, such as: the Dominica Cadet Corps members, Lion Club members, Red Cross Volunteers, or those persons from the Institute of Caribbean Studies, US Peace Corp Volunteers, the Guyana Cuffy Society, Evangel Assembly, and the Caribbean Professional Network who have rushed to join with us. Others like Jay Lightfoot of Methodist charities with a record of rebuilding New Orleans post Hurricane Katrina, Arthur Griffith of http://www.carifesta.com, Darren “DJ Sprang” Solozano, Hispanic community leader Alex Salinas Ortiz, and Terri Granot of Jewish charities, are quietly working to aid our community. We ask God to bless us all, to include Pastor St. Claire Mitchell who gladly opened the doors of Evangel Assembly for our founding. We are non partisan, open, transparent and welcoming of all humanity to this cause, without discrimination as to race, nationality, religion or political affiliation. Our Ethic of Koudmen therefore is one that recognizes a salient truth: Dominica will be rebuilt where we embrace the spirit of everyone being committed to making his/her own contribution to the team. We will not rise by material assistance alone. We have to forge a renaissance born of the spiritual embrace of self help. We all have have talents of one kind or another, and an individual responsibility to contribute to rebuilding our communities. This cause will progress where our philosophy promote the principles of the best practices in enterprise, science and technology, innovation and creative industry which promote self reliance. Our philosophy therefore is rooted in the belief that we will rebuild where every Dominican steps forward and plays their part. The work of rebuilding cannot be done by outside aid or government alone; a healthy dose of private enterprise and mutually respectful public/private partnership is key to success. We will promote Koudmen education premised on the principle: teach a man/woman how to fish, not simply hand out a fish. To that end we will encourage our young to embrace careers in agriculture and industry. Indeed, our communities – at home and abroad -will rise where each person steps up to the plate and commits to making a voluntary contribution to the rebuilding effort. We support the call for an annual development conference made by many. As a people we cannot rise where we merely gather to party, instead of meeting regularly to be about the business of development. Where we conference regularly – to plan and work for a better future – our progress will be asssured. We must summon the stamina to overcome differences, work together, pray together, and be engaged for the long haul. We welcome all, in the spirit of Koudmen. Where everyone does some Koudmen, our rebuilding will be assured.